The governor of Wyoming, unlike the federal government, is worried about the Greater Sage-grouse. The mad dash to sell and lease the West to the oil and gas companies, frenetic for the last seven years, has reached an even more frenzied state as the Bush Administration winds down. 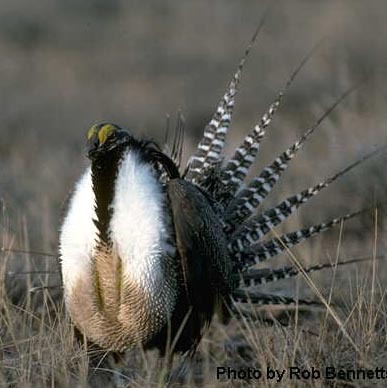 Lewis and Clark wrote about the Sage-grouse in 1805, back when it was abundant on western prairies. That was before conversion of the prairie to agricultural uses and mineral extraction. Millions of acres were stripped in order to grow wheat and potatoes. Millions more were stripped to make the land safe for cattle. Sagebrush, almost as nutritious as alfalfa, contains toxins which kill bacteria in the stomachs of cows which can result in death. Cattle, unlike Pronghorn Antelope, did not co-evolve with sagebrush. Antelope thrive on it. Their ancestral range shrunk along with that of the Sage grouse and Native Americans who used sagebrush to stop internal bleeding and to rid themselves of internal parasites. Cities required yet more sagebrush land. As a result of all this human activity, sagebrush is dying and so is the Sage-grouse. We’ve denuded an area the size of Europe of its natural cover. If he were writing today Zane Grey would name his most famous novel, Riders of the Long Gone Sage. 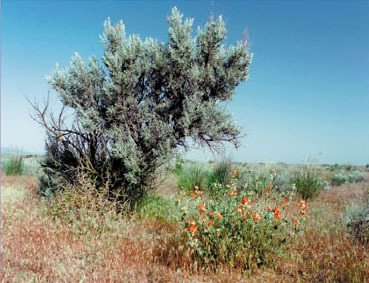 What little sagebrush habitat is left overlies deposits of natural gas and oil. Exploration, drilling and extraction disrupt the habitat and its occupants even more. 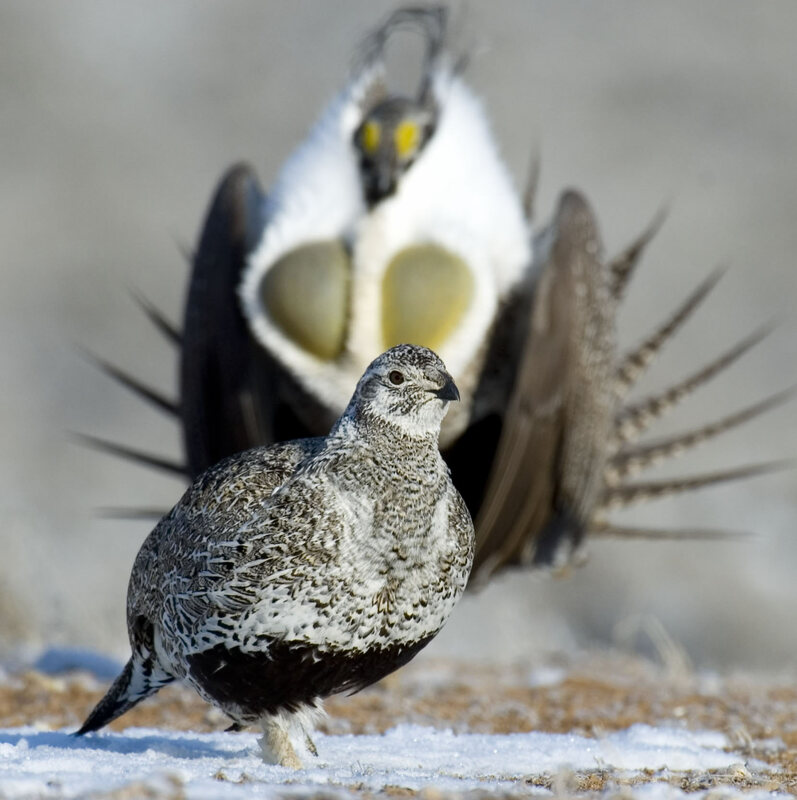 The Greater Sage-grouse is the largest North American grouse and is famous for the mating displays of the males. When the spring mating season comes, their esophagi enlarge as much as 50 times, apparently the result of large doses of testosterone. They expand and collapse their esophagi pouches making noise to attract females. The males gather on breeding grounds known as leks to strut their stuff as you can see in this video. Mostly this activity occurs around sunrise during springtime. Golden Eagles learned about this. Now they wait, up in the eastern sky for the strutting to begin then swoop down out of the sun attempting to grab a bird. The most successful males are in the most danger because they keep strutting after the other males and females have gone to ground. A little testosterone is a good thing; a lot of it can get you in trouble. The film and the photos, except for the last one, come from Dr. Gail Patricelli of UC Davis. You can read more about Greater Sage-grouse at this Audubon site. If you want to weigh in on habitat protection the Audubon Society has a form letter you can send to the BLM, although it is always better to write your own.